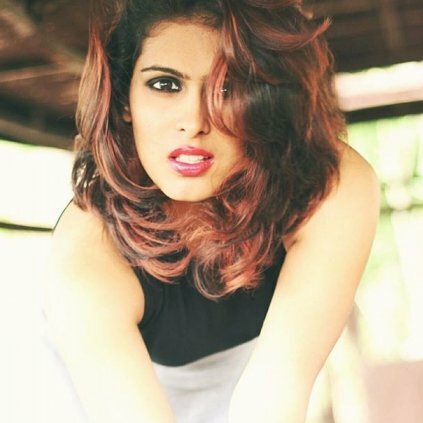 Samyuktha Hegde is a popular Kannada actress who is known for her film Kirik Party. It was reported that she has been chosen to play the lead in Karthik Subbaraj’s next film with Prabhu Deva. The talks are that Samyuktha chose this Tamil film and there was a clash of her dates with a Kannada film called Kaleej Kumar. This had made the social media trollers go on a rampage over Samyuktha who alleged that she is preferring her career over language. *Social media post is not spell-checked. Aishwarya Rai to act in this south Indian biggie? Official: K.S.Ravikumar to direct this legend in his next! Mahesh Babu's sister to direct. Who is the hero? Successful film gets a sequel! Udhayanidhi confirms! Singer Adnan Sami is blessed with a baby girl! Producers Council Decides Not To Fund Karthik Subbaraj's Film Anymore? People looking for online information on Karthik Subbaraj, Prabhudeva, Samyuktha Hegde will find this news story useful.